Used but totally refurbished and in excellent condition. I have cleaned this unit and repainted a satin finish to reflect it's original state. Included are the graflok back plate the viewing glass and the viewing hood. All filters are clear without scratches. Orange G4 P/N 323/4. Zeiss Ikon 35mm Film Reloadable Cartridge Spool. One is pictured in original wrapping & the other is shown extended and having been cleaned with a soft damp cloth for display purposes. You will receive only a single bellows! What you observe in the photo, inside the extended bellows, is small bubble wrap which I used so bellows would remain extended while the image was captured. Such as: flat rate and parcel options. (International does not apply). CONDITION: GOOD. (It will save you money). However, there are no markings on the knob that identify the range. A glass cover is possibly missing on the front. Overall very good for age. See condition notes above and all 5 photos. Lot #GEM-041919-5. Graflex Speed Graphis 4x5. No back, front doesn’t clasp shut. Shipped with USPS Priority Mail. Leica Nooky for Elmar 5cm lens in original box. No reserve. It is marked "Multiscope U.S. Pat. Pend Made in Germany 11176". My father had an extra rear mounting plate with it that may or may not go with it, but will be included. He also marked arrows on the base, not sure why. Classic Film Cans - Used. 12 Vintage Black Plastic 35mm Film Canisters. Shipped with USPS First Class Package. When I rebuild them, I replace the OSRAM original bulb with a Halogen Xenon bulb, and also replace the cord with a new computer style cord, and replace the feet. What a deal?. Now many of the units I work on - have a working bulb. 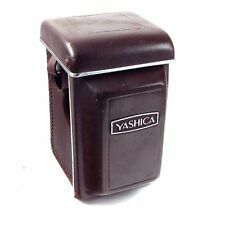 Rolleiflex 2.8 Leather Case with Prism Finder Top - Great Condition. 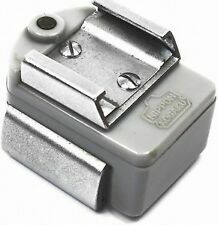 There is a little pocket inside, I'm not sure what it is used for. Shipped with USPS Priority Mail in the U.S. only. No international shipping. Only has 1 film roll. 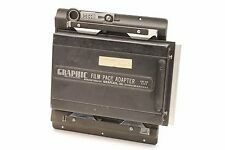 VINTAGE NIKON 35MM FILM BACK WITH SLIDE FOR GRAFLEX LARGE FORMAT CAMERAS ..M-35? I’ve never seen another one like this and am not familiar with it. Other than that I do not know anything about it. I was told that it is a model M-35 but I do not know for sure. Blizter is nice, it has a few tiny use marks. 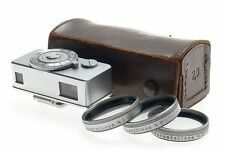 Leather case is marked Leica on the top and Elitz New York on the middle of the side. Case is 7" x 9" x 2 1/2". On the back edge of the flap there are a few stitches coning loose, otherwise just a few tiny use marks. Miranda VEF-3 Critical Focuser 17-412 and LF Adapter Reverser Ring Miranda SLRs in boxes in Mint condition. I am not sure which Screw Mount model it is for as I cannot recall that far back! As new condition - see scan for details. W/ SYNC CABLE for Minoltaflex. However, my opinion and yours may vary since everyone judges differently. I am only human and do make mistakes. They may have slight defects, show wear, have discolored lining, small stains, odors etc. but I will try and list what I see to the best of my ability. Appears to be a good 135mm viewfinder. See condition notes above and all 6 photos. Lot GEM-040919-5. Leica Leitz Wetzlar FILCA Brass Film Cassette,ONE, Tested and Working. If you look at the pics I've added a few extras at the end.the Watson 66b(as well as others) are made to be used with the FILCA cassettes. Just open the film gate on the cassette and cut the film to make a blunt point, no need for gummy tape to screw things up, Leitz made a handy arrow showing you where to slot the film in.inside the slot are very grippy little teeth that'll hold the film. All three in great shape. Vintage 8mm / Super 8 Movie Film Reels with Cases and Film Lot of 2. Keywords Notr(e) Dame, Cub Scouts. Shipped with USPS Media Mail. Happy bidding, ENJOY!! Great old flash handle for your Star Wars light saber project. Photos show the actual item(s) you will receive. Handle is about 9-1/2 long. It looks like they are all there. The original box shows storage wear. Fogging only slightly visible in use. Zooms easily. Parallax correction moves smoothly. See photos for condition. Outer box has been marked with several prices over the years. stickers and marker pen. Made in USA. The sleeve on the back slides over your lenses. You'll need a piece of foam rubber to wrap around the lens so that you get a nice tight fit. Works like a champ with your barrel lenses. With the "pin" in place it will cycle automatically and give you a good repeatable 1/25th second exposure. This auction is for an original Canon RF 85mm chrome View Finder For Rangefinder Lenses. It is in beautiful condition. Ready to use or add to your Canon collection. Feel free to ask any questions and please see my other auctions for more vintage photography items. The sleeve on the back slides over your lenses. You'll need a piece of foam rubber to wrap around the lens so that you get a nice tight fit. Works like a champ with your barrel lenses. Note that one blade has a repair with a little piece of gaffers tape. This is an antique film developing box/tank made by Kodak. It is wood with finger joint corners and includes an instruction manual. Most of these that I have seen are natural color. As you can see, this one is painted black. Konica Extension Bellows 2D and 35mm Slide Copier. Excellent condition. Shipped with USPS Priority Mail. Focus parallax correction turns smoothly. See photos for condition. Very nice condition for decor or film use. Here's a genuineNIKKORMAT eveready leather case with the original strap. 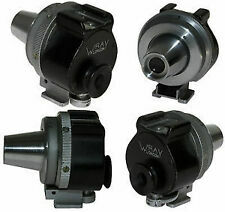 E. Leitz Wetzlar universal focusing bellows system with reflex eye piece. E. Leitz Wetzlar copy bellows with vertical eye piece. No reserve. 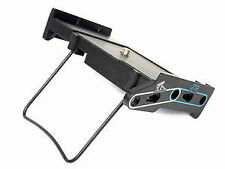 E. Leitz Wetzlar copy bellows in excellent condition. Viewing lens is clear and unmarked, reflex mirror is clean. The bellows are protected in the original box which is complete but which has been covered with sticky tape.